Divorce arbitration is very similar to divorce litigation. In divorce arbitration, an independent arbitrator, rather than a judge, decides your case. You and your spouse (or more likely, your attorneys) choose an arbitrator. You choose which issues you want the arbitrator to resolve. You decide which rules the arbitrator will follow. You decide whether the arbitrator’s decision will be binding. Then you sign an arbitration agreement that sets forth everything that you have agreed to, and you go forward with the arbitration. The arbitration itself is very similar to a trial, only instead of presenting your case to a judge in a court room, you present it to an arbitrator in a conference room. You and your spouse will both likely testify. Your attorneys will present evidence and witnesses. They will argue your case before the arbitrator. Then, after the hearing is over, the arbitrator will decide your case and provide you with a written award detailing his or her findings and conclusions. That award then gets confirmed in court, and the case is resolved. Even though arbitration is like a “mini trial,” there are significant differences between arbitration trial. First, the arbitration hearing is usually less formal than a court trial. The rules of evidence are generally relaxed, and the process may be streamlined so that it takes less time to present your case. Second, the arbitration is more private than going to court. Finally, in arbitration you choose your arbitrator. When you go to court, you don’t get to pick your judge. How is Divorce Arbitration Different Than Divorce Mediation? Divorce arbitration is different than divorce mediation because, in mediation, you and your spouse decide what you want to do in your divorce. The mediator helps you reach a decision, but does not, and can not, decide your case for you. In arbitration, you and your spouse sign an agreement giving the divorce arbitrator the power to decide your case for you. The arbitrator, not you, decides your case. The benefits of divorce arbitration are that it is faster and more private than going to trial. You have greater control over scheduling than you would in a court room. You can also use divorce arbitration to decide a single issue in your case, or to decide all the issues in your case. The down side of divorce arbitration is that you and your spouse have to pay the arbitrator. Arbitrators are specially trained divorce lawyers and there hourly rate is not usually cheap. However, arbitrations are often more streamlined than trials. 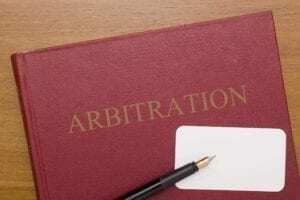 In the end, you may end up saving money on attorney’s fees by using arbitration. 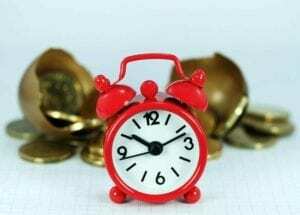 Whether divorce arbitration ends up costing you money, or saving you money, depends upon the particular facts and circumstances involved in your case. Is Divorce Arbitration a Good Choice? While divorce arbitration has many benefits, in truth, it is not used very often. It is rare that both you, your spouse, and both of your attorneys, can agree on who to select as your arbitrator, as well as the rules of the arbitration, the issues that will be decided in the arbitration, and the amount each of you will contribute toward paying the arbitrator’s fee. If everyone does not agree on all of these things, you can’t arbitrate your case. Thus, most people find that it is much easier to go to court, where the rules are already established, and the judge has the power to decide everything, than it is to set all of the ground rules necessary to conduct an arbitration. 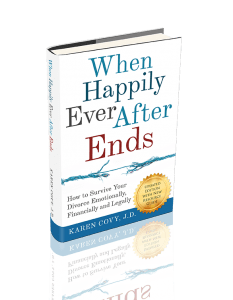 CLICK THE BUTTON BELOW to get a chart that will allow you to compare the advantages and disadvantages of the various divorce processes so you can decide which one would be right for you.